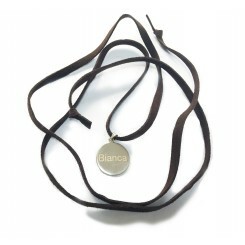 OFFICIALLY LICENSED PRODUCT: This pure silver disc necklace with soft brown leather strap is a top s.. 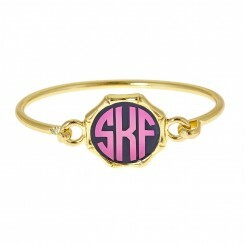 Choose your letter for a personalized gift. 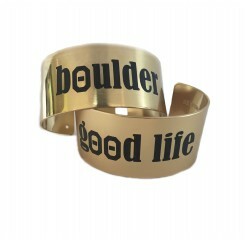 Now available with gold plating option. Our .. 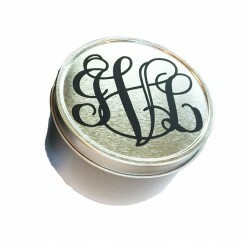 Choose your letter for a personalized gift. Although only one letter, the scroll work makes i.. 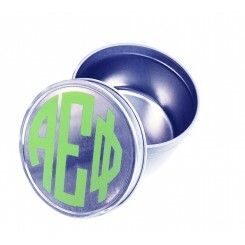 Choose your size and letter for a personalized gift. 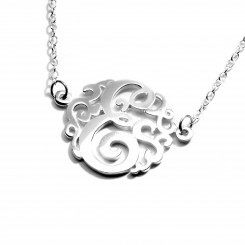 Although only one letter, the scroll work..
Say anything! 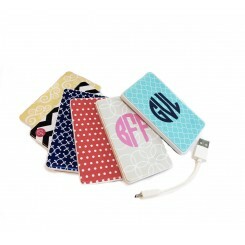 Write a name, an inside joke, powerful message, or nickname on this beautiful cu..
No outlet? No problem! Have phone charging power no matter where you are. Nobody else dare claim it ..
Say anything, even if it's all Greek to you! 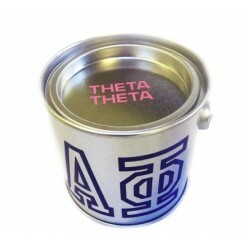 Write a Greek sorority and/or chapter name, an in..
Personalize this little cylindrical bucket to your liking! 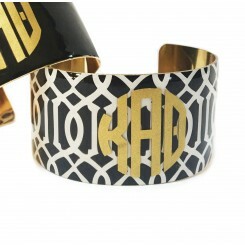 The perfect way to hold tiny things..
A dainty way to wear your initials, the Monogrammed Bamboo Bracelet is the perfect personalized addi..
Cubic Monogrammed Jewelry Box. 4” wide x 1 & 1/4” high x 4” deep. Add a name or monog.. 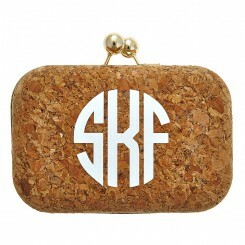 The evening bag for any time of day. Fits just what you need, and impossible to confuse with other e.. 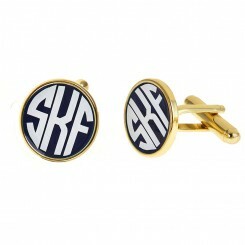 The Monogrammed Cuff Links make a perfect gift for your beau or make it all about you and spice up y..
Our most popular monogrammed jewelry item! 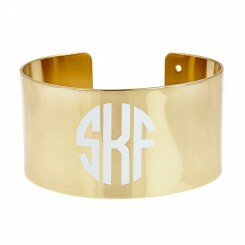 The dainty Monogrammed Delicate Chain Bracelet is perfect..
Personalize this little cylindrical container to your liking! 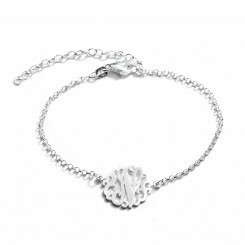 The perfect way to hold tiny thi.. 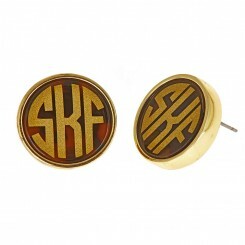 The Monogrammed Small Earrings are a subtle way to show your true colors.3/4" diameterStud earringsS..
Monogram this beauty in any color. It will always sparkle with golden elegance. 16 & 1/2” .. Think patterns are too wild for you? Not these ones! 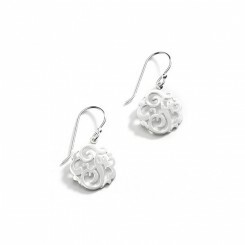 Ultra classic patterns with your ch.. 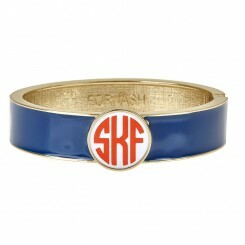 Basic, yet never boring, the Monogrammed Two Tone Hinged Bracelet has a raised pendant and is scream.. 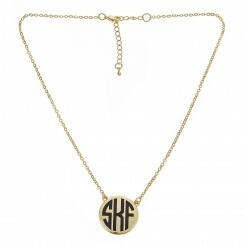 The preppy and personalized way to find your keys, the Horsebit Keychain features a horsebit charm o.. 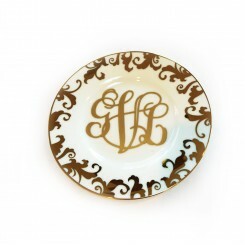 This beautiful fine china plate comes with gilded decor and a gold monogram of your choice. Sh.. 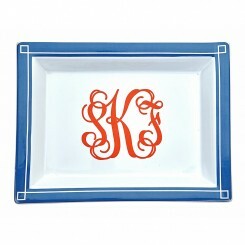 This beautiful white monogrammed ceramic tray with colored trim is the perfect gift to display name,..